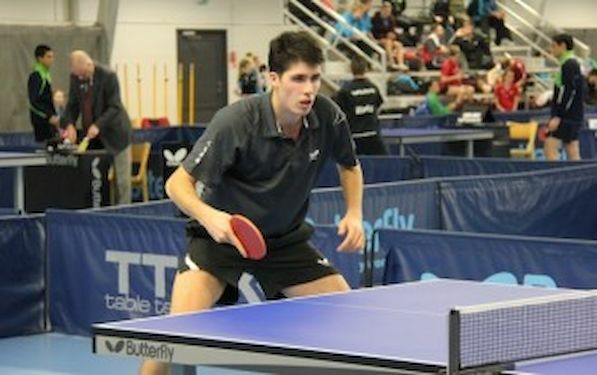 Almost 200 players from 34 different countries arrived to Kisakallio sport institute in southern Finland to participate at Finlandia Open international table tennis tournament. Finlandia Open started on Thursday with a team competition. Totally 47 men’s teams and 28 women’s teams participated. At men’s the top seeded teams were as strong as the seedings predicted, so at the end in the finals 1st ranked Argentina (Gaston ALTO, Pablo TABACHNIK) played against and 2nd ranked Sweden 1 (Simon ARVIDSSON, Viktor BRODD). Swedish team were a little bit stronger and took impressive 3-1 victory. Semifinalist’s were Austria and Slovenia/Netherlands. At women’s it was the same thing and in the finals number one seeded India and number two Belarus meet each other. Also, the 2nd seed clinched the title. Belarus recorded 3-0 victory. Singles event’s were played mainly on Friday and Saturday. Finlandia Open uses traditionally progressive knock-out system so there is a lot of matches for all players even if they win or not. After two days playing all the players had the position in results, except the top 8 women and top 6 men who had to play on Sunday, the final day. For local audience it was a very good news that Finnish number one player Benedek OLAH was one of those six men who was still fighting for the trophy. At Sunday we saw many excellent and tough table tennis matches. In the finals Sadi ISMAILOV (RUS) played against Can AKKUZU (FRA) in men’s and Mariya KUCHUK (BLR) vs. Shamini Kumaresan (IND) in women’s singles event. Match between ISMAILOV and AKKUZU was an extremely close encounet on highest level . ISMAILOV became the champion but he needes all seven sets to beat AKKUZU. Last set was 11-9. At women’s final Kumaresan started well and took the first set. That wasn’t enough for victory when KUCHUK took next four games in the row and became a Finlandia Open champion. The tournament got nice feedback from players and coaches. The playing system is very good for young players and the Kisakallio is an excellent venue where everything is in walking distance. Hopefully next year we can arrange 25th Finlandia Open even better!